In recent years, biopower (or biomass power) projects are getting increasing traction worldwide, however there are major issues to be tackled before setting up a biopower project. There are three important steps involved in the conversion of biomass wastes into useful energy. In the first step, the biomass must be prepared for the energy conversion process. While this step is highly dependent on the waste stream and approach, drying, grinding, separating, and similar operations are common. In addition, the host facility will need material handling systems, storage, metering, and prep-yard systems and biomass handling equipment. In the second step, the biomass waste stream must be converted into a useful fuel or steam. Finally, the fuel or steam is fed into a prime mover to generate useful electricity and heat. One of the most important factors in the efficient utilization of biomass resource is its availability in close proximity to a biomass power project. An in-depth evaluation of the available quantity of a given agricultural resource should be conducted to determine initial feasibility of a project, as well as subsequent fuel availability issues. The primary reasons for failure of biomass power projects are changes in biomass fuel supply or demand and changes in fuel quality. Accuracy is of great importance in making fuel availability assumptions because miscalculations can greatly impact the successful operation of biomass power projects. If biomass resource is identifies as a bottle-neck in the planning stage, a power generation technology that can handle varying degrees of moisture content and particle size can be selected. 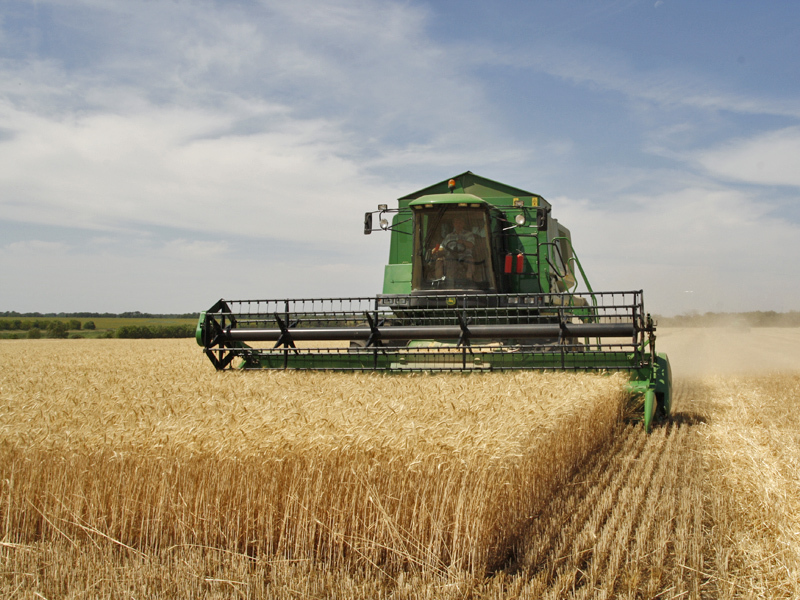 Technologies that can handle several fuels in a broad category, such as agricultural residues, provide security in operation without adversely affecting combustion efficiency, operations and maintenance costs, emissions levels, and reliability. Biomass as an energy source is a system of interdependent components. Economic and technical viability of this system relies on a guaranteed feedstock supply, effective and efficient conversion technologies, guaranteed markets for the energy products, and cost-effective distribution systems. Conversion of biomass feedstock into intermediate products. Distribution and utilization of biofuels, biomass power and bio-based products. A well designed biomass conveyor system should take into account the variability of the material and provide the consistent and reliable flow that is crucial to power generation. Depending upon the type of boiler and conversion system, the fuel is either transported directly to the powerhouse via a belt conveyor, or first processed in a chipper/grinder to produce a finer texture. For example, municipal solid waste is deposited into pits where cranes mix the refuse and remove any large, non-combustible items. Sometimes, it is further processed to remove ferrous materials, glass, and other non-combustible materials. For large pellet-fired biomass system, rail dump method is very common where railway tracks are constructed to transport biomass. Station is specified for train and fuel receiving bins are typically located below the track and rail cars dump into bins, either directly or through a rotary dumper. Fuel received is then transferred by belt conveyors to the biomass storage bins. For small particle size, pneumatic conveying system offer greater flexibility in routing than traditional belt conveyors. Equipment specific to pneumatic systems include positive displacement blowers and rotary feeders that function as air locks. In a typical biomass thermal power plant, the initial process in the power generation is biomass fuel handling. A railway siding line is taken into the power station and the biomass is delivered in the storage yard. It is then unloaded from the point of delivery by means of wagon tippler. It is rack and pinion type. The biomass is taken from the unloading site to dead storage by belt conveyors. The belt deliver the biomass to warehouse. The transfer points inside the warehouse are used to transfer biomass to the next belt. The belt elevates the biomass to breaker house. It consists of a rotary machine, which rotates the biomass and separates the light inorganic materials (viz. plastic or other incombustible particles) from it through the action of gravity and transfer it to reject bin house through belt. The belt further elevates the biomass until it reaches the crusher through belt. In the crusher a high-speed 3-phase induction motor is used to crush the biomass according to the requirement, for gasification size range is usually upto 15-20mm, while for biomass-fired boiler, size of 50mm is acceptable. Biomass rises from crusher house and reaches the dead storage. Cost-effective production of biomass energy is very much dependent on efficient handling of available biomass sources, as well as the efficiency of each process. An important, but often overlooked, area is the efficient receiving of different types and different capacities of biomass as it enters the plant and then conveying this material to the production equipment. In many cases, the space available for biomass handling is limited. Receiving equipment can be installed in a pit or at the ground level. The size and volume of the receiving pocket can be suited to vehicle volumes or turn-around times. The receiving pit can be used as small buffer biomass storage or as an emergency or mixing pocket. Belt conveyors are an economical and reliable choice for transferring biomass over long distances at high capacities with lower noise levels. Designs range from simple, open configurations to totally closed and washable conveyor galleries. Well engineered conveyors have the maximum safe distance between support legs to minimize the cost of civil construction as well as reducing the number of obstructions on the ground. Chain conveyors are a reliable choice for transporting unscreened or dusty biomass, or when the available space is limited. Screw conveyors are a very economical alternative for transporting biomass over short distances. Nowadays, automated conveyor systems are getting traction around the world. Fully automated fuel handling systems employ a biomass storage bin that can hold upto 50 tons (or more) of biomass. The bin is filled by a self-unloading truck with negligible or no onsite staff assistance. From the biomass storage bunker, the fuel is fed automatically to the boiler by augers and conveyors. The fully automated system is a good match for biomass plants where maintenance staff has a large work load and cannot spend much time working with the biomass conversion plant. Pellet-based hopper systems offer low costs for both installation and operation. In a modern biomass pellet boiler system, fuel is stored in a relatively low-cost grain silo and automatically fed, with no operator intervention, to the boiler or boilers with auger systems similar to those used for conveying feed grain on farms. The fuel-handling system uses electric motors and is run by automated controls that provide the right amount of fuel to the combustion chamber based on facility demand. Such conveyor systems require minimal maintenance, around 20-30 minutes daily, for ash removal and maintenance of motors and augers, estimated to be about 20-30 minutes per day. 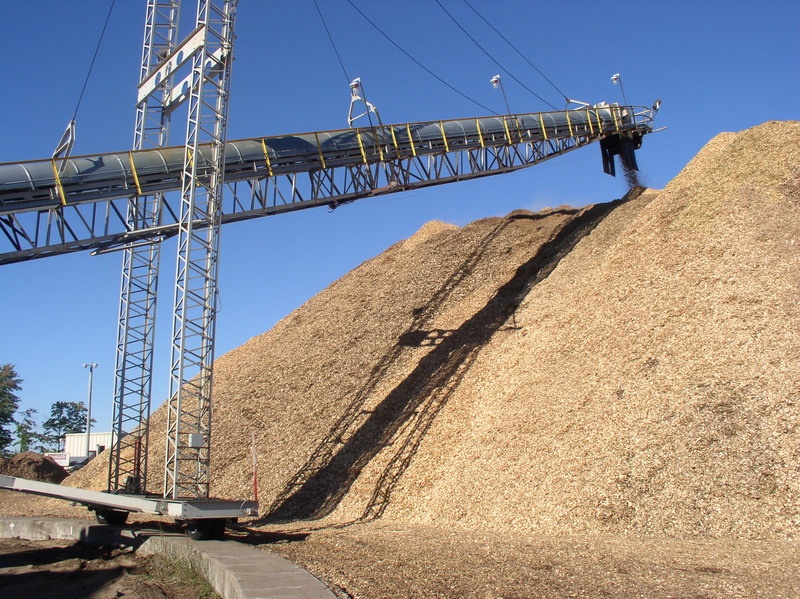 The physical handling of biomass fuels during collection or at a processing plant can be challenging to conveying equipment designers, particularly for solid biomass. Biomass fuels tend to vary with density, moisture content and particle size (some even being stringy in nature) and can also be corrosive. Therefore biomass fuel handling equipment is often a difficult part of a plant to adequately design, maintain and operate. To enable any available biomass resource to be matched with the end use energy carrier required (heat, electricity or transport fuels) the correct selection of conversion technologies is required. Since the forms in which biomass can be used for energy are diverse, optimal resources, technologies and entire systems will be shaped by local conditions, both physical and socio-economic in nature. Since the majority of people in developing countries will continue using biomass as their primary energy source well into the next century, it is of critical importance that biomass-based energy truly can be modernized to yield multiple socioeconomic and environmental benefits.